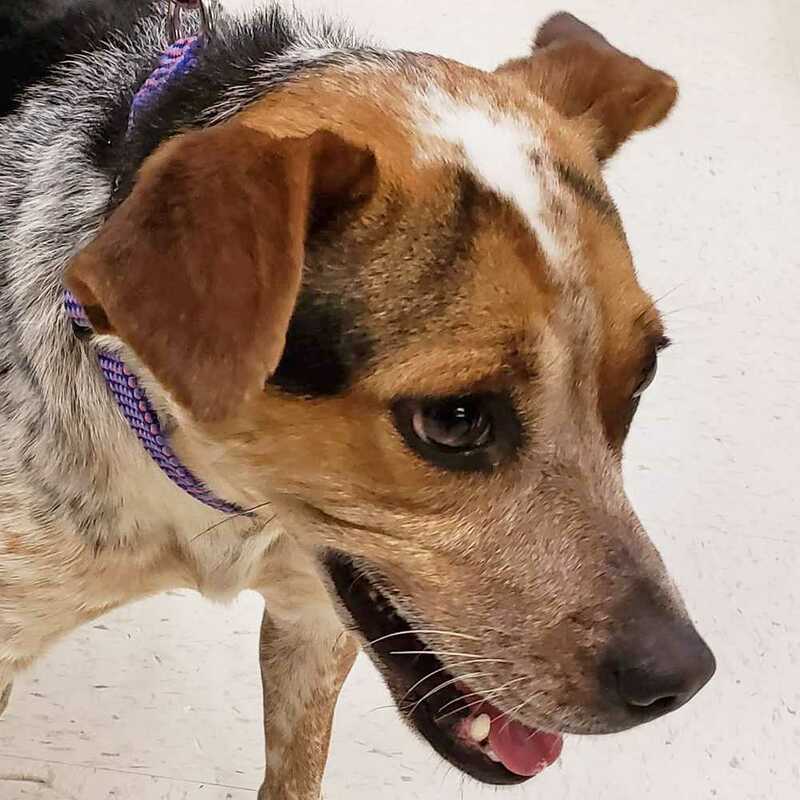 Lucy is a petite, 1-year-old cattle dog/beagle mix. She's affectionate with people and gets along well with other dogs too. This little girl already is spayed, so she's ready for her forever home! Want to adopt Lucy? If you are viewing this bio listing on Petstablished, click the ADOPT button to fill out our adoption application. If you are viewing this bio on another pet adoption site, please click on the link that follows or copy and paste the Dog Adoption Application link into your browser and then choose "Lucy" from the dropdown menu of adoptable dogs: https://www.petstablished.com/adoption_form/11685/generic.